SDM Winter Festival | Square Dance Minnesota, Inc.
February 2, 2019 – SDM Winter Festival Square Dance, St Cloud, Callers Tom Allen, Andy Flint, Abe Maier, Charley Huhtala, and Roger McNeil, Cuers Sarah Klaphake, Bernadette McNeil and Jane Simpson. 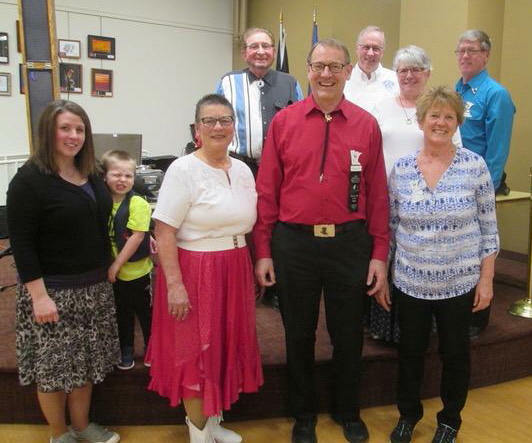 (Callers and cuers present are in the photo above.) Dancers from Ar-Dale Dancers, Beaux & Belles, County Line Squares, ETTA Square & Rounds, Friendly Squares, Gospel Plus, Koronis Nite Owls, L & M Squares, Rays Promenaders, Rockin’ Country Dancers, Saturday Fun Nite, Single Circles, South Metro Stars, Spares & Pairs, Wadena Whirlaways, and Westonka Whirlers were present. 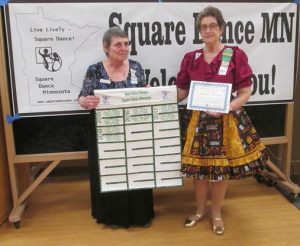 Live Lively Septuagenarian – Sandy Pearson, County Line Squares and Single Circles. Live Lively Septuagenarian – Barbara Hicks, County Line Squares. 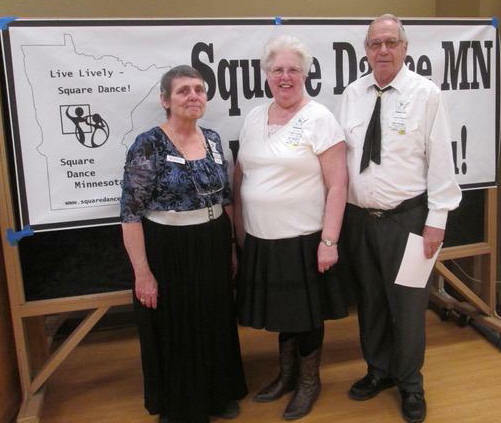 Travelers “Sixth” Award – Gael and Doug Zachman, County Line Squares and Beaux & Belles. 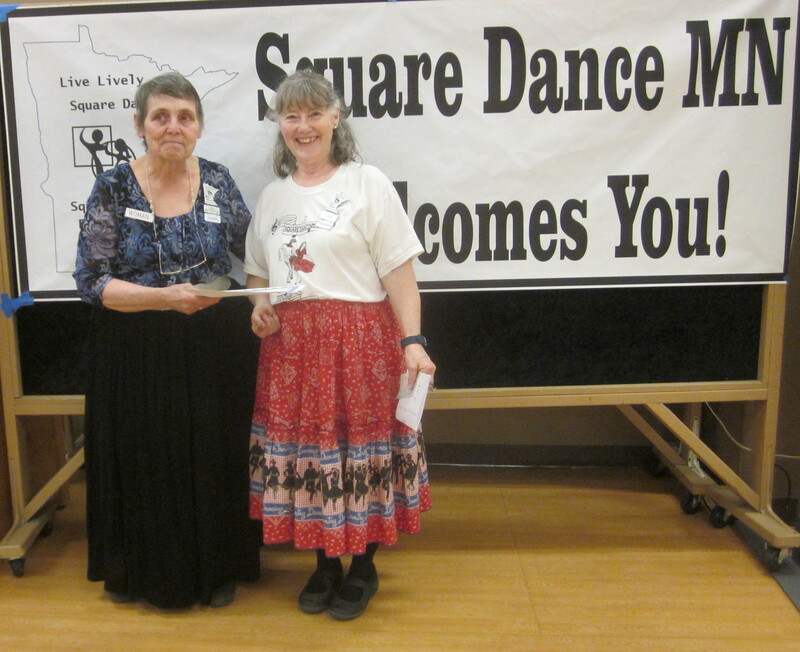 Travelers “Eighth” Award – Mavis Johnson and Don Lundell, County Line Squares and Afternoon Squares. 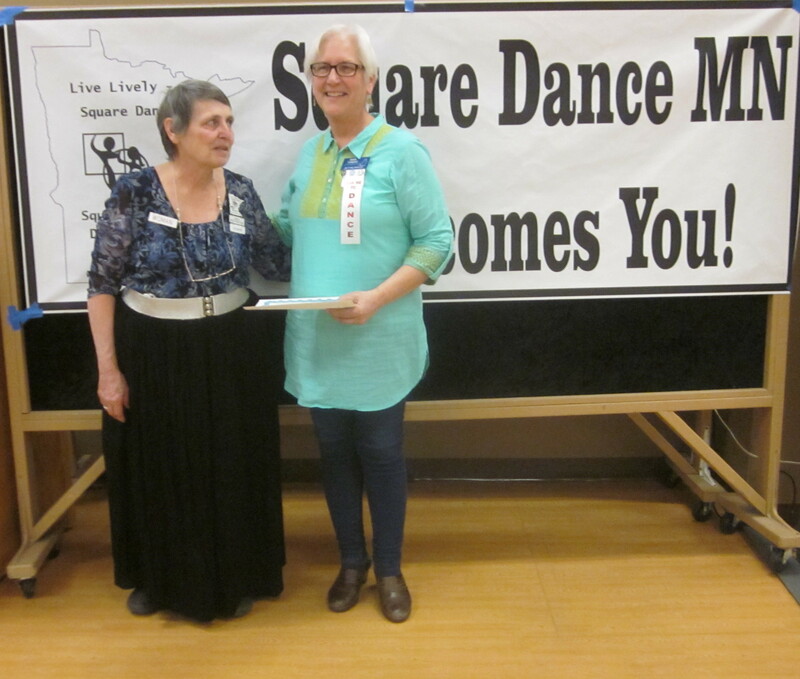 New Dancer Award – Barb Chacko, Westonka Whirlers. Sixth Most-Active Dancer – Willard Leinonen, County Line Squares, Beaux & Belles, and ETTA Square & Rounds. 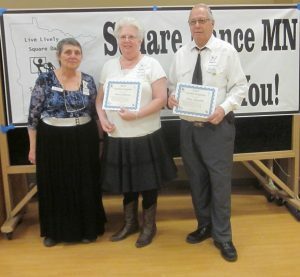 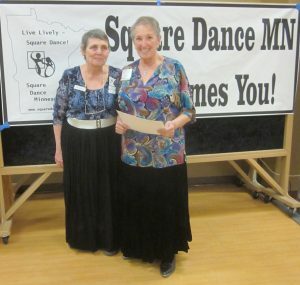 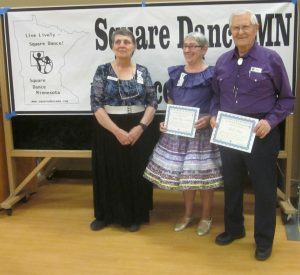 Fifth Most-Active Dancers – Mary Kay Amberg and Bob Lang, South Metro Stars, Gospel Plus, and Westonka Whirlers. 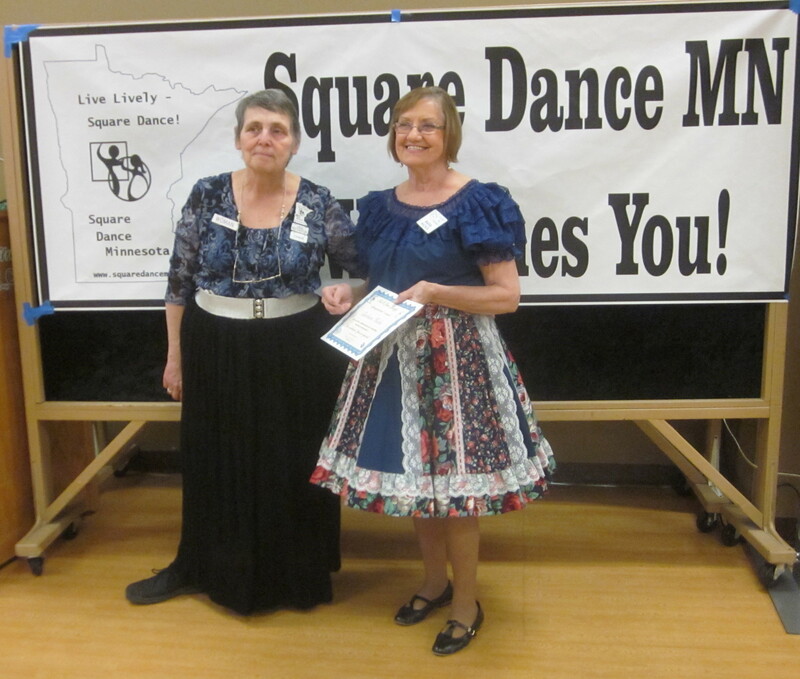 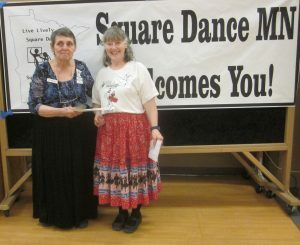 Fourth Most-Active Dancer – Lorraine Wilson, County Line Squares (not present for photo). 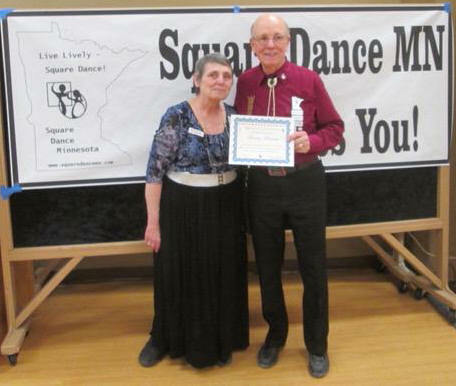 Third Most-Active Dancers – Mavis Johnson and Don Lundell, County Line Squares and Afternoon Squares. 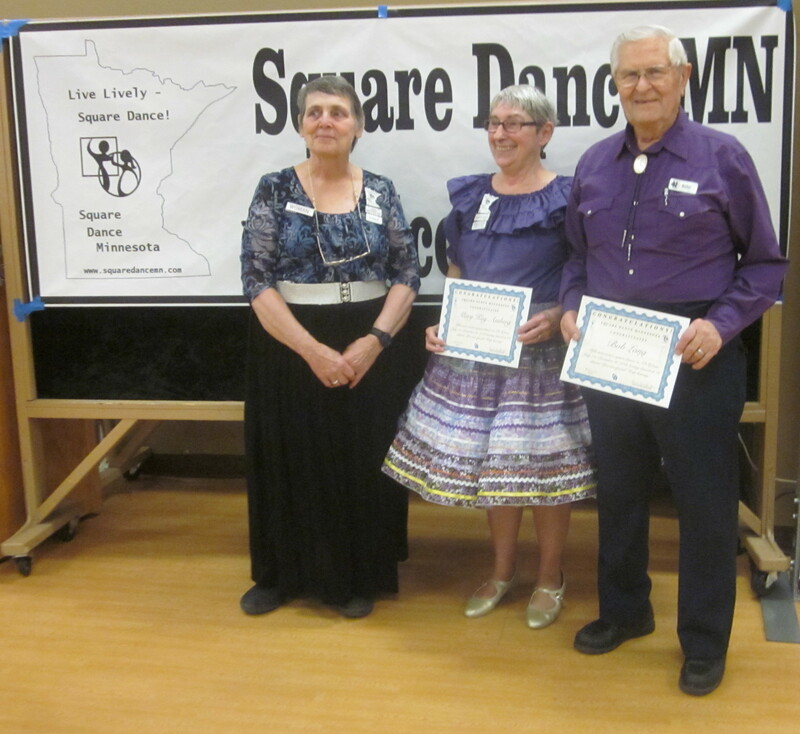 Second Most-Active Dancer – Barry Downs, Spares & Pairs, Westonka Whirlers, and Afternoon Squares. 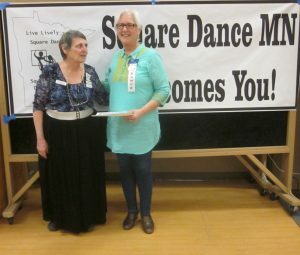 Most-Active Dancer – Jennifer Downs, Spares & Pairs, Westonka Whirlers, and Afternoon Squares. 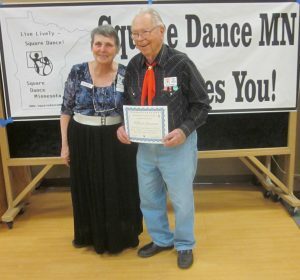 This entry was posted in Activities on February 2, 2019 by LeRoy.